Wedding bells ring for another star pair in Tamil industry. After the actor, Vishal announced his wedding with Anisha Alla Reddy, another top actor Arya's wedding is in the queue now. 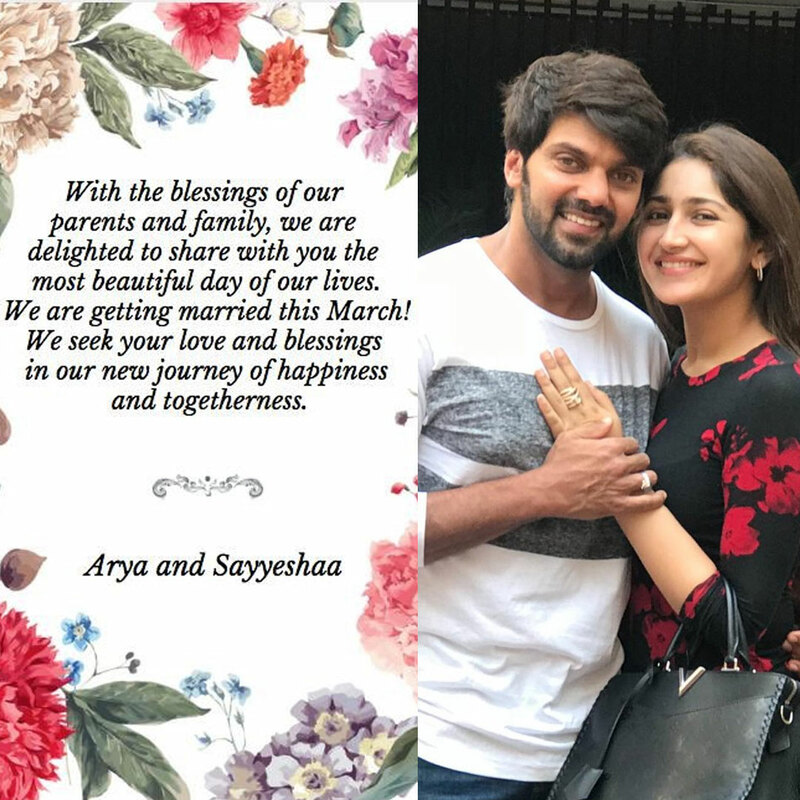 Famous South Indian actor Arya and his longtime girlfriend Sayyeshaa Saigal(also an actress) announced their wedding on the eve of Valentine’s day. Ending the speculations over their relationship over the last few months, the couple would marry on March 9th. The couple met on the sets of Ghajinikanth movie previous year which lead to their relationship. According to the info, the duo will have a traditional Muslim wedding in Hyderabad followed by a grand reception for all celebrities. Sayyeshaa is the grandniece of veteran Bollywood stars Dilip Kumar and Saira Banu who debuted her career in Tollywood alongside Akkineni Akhil.